And with that... see you all in 2015! Happy New Year, and thank you to all of you for making 2014 such a fantastic year for the LAS! As you'll have read in our recent newsletter, we're organising a private section on Facebook for LAS members to discuss art events and share work with one another. We will begin inviting members in January or early February, but don't worry if you don't get an invitation right away - we'll be inviting people in several waves (for admin purposes! ), and there'll be another post here on the blog before we begin. Each person invited will have their own folder where they can upload work, and to ensure privacy this page will not be open for non-members to see - the only people who will be able to see it, or who is in it, are the other people in it. We've been trialling this idea for several months on a separate Committee page to see how it all works, so if you've got any questions about it please feel free to drop me a line at samsketches@yahoo.co.uk and I will be happy to chat about it. This month, Spotlight's going seasonal and looking at an SAA article by Trevor Waugh. Trevor will lead you through a wintry background, and then placing figures in the scene. In keeping with our recent request for palettes, this tutorial only requires six colours. You can find the link right HERE. We would like to wish a very, very Merry Christmas to all our members! See you in a few days for Spotlight and our December round-up. Our programme for 2015 is now live! The Programme page to the right has been updated, or you could just look below - go check out what we've got in store for you this coming year, it's all looking very exciting! I'll cover historical use, as well as the modern-day benefits of restricting your palette. So, I'd love to know what limited palettes you've tried, what you like, what media they might work best in, and I'll put it together into a Spotlight post. 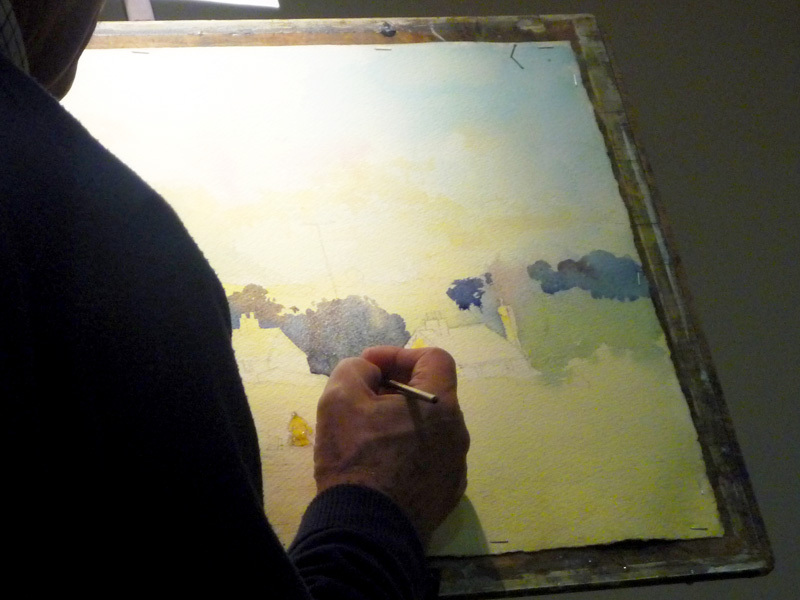 I'm defining 'limited palette' as no more than 6 paints (plus white, which is assumed for all non-watercolour media). Drop me a line at samsketches@yahoo.co.uk - let's see if we can start sharing some of these ideas! The photoshoot originally scheduled for last Friday has now been re-scheduled for this Friday, same time and place. It'd be great to see you there! Also, we've got an announcement coming early in the New Year... but you'll have to wait and see what that is. Finally, the programme for 2015 will be up soon, as it has now been finalised. I hope you're all able to take it easy, and you're having a fantastic holiday season! 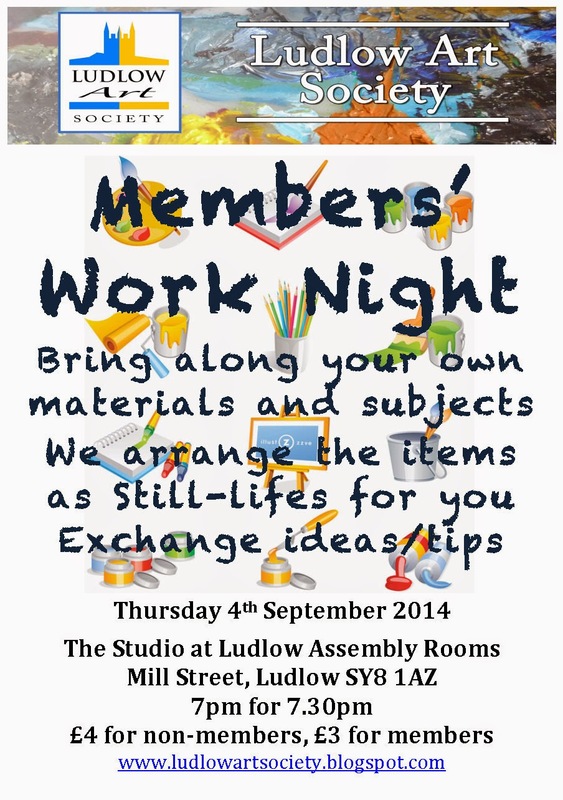 LAS members are invited to be involved in a promotional photoshoot for the Ludlow Assembly Rooms, highlighting the activities that the LAR hosts. Anybody interested is asked to bring a piece of their artwork (preferably not too large) to the Assembly Rooms at 11am on Friday 12th December, and we'll set up with direction from the photographer, LAS member Kate Maxwell. Also on that page, to the left, you'll find links to their other craft courses. We're delighted to say that former Chairman and current Vice Chairman Alan Hobbs has agreed to become a Vice President of the LAS. Quite a bit to cover here! 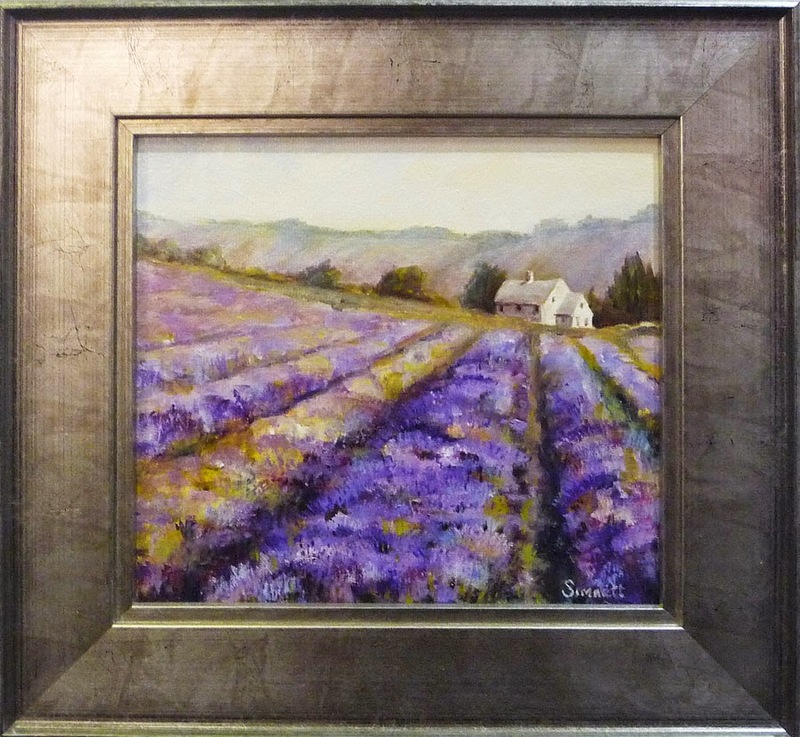 First off, STH now has a website, so go point your browsers at http://silktophatgallery.wordpress.com/ and check it out. Okay, back with us? 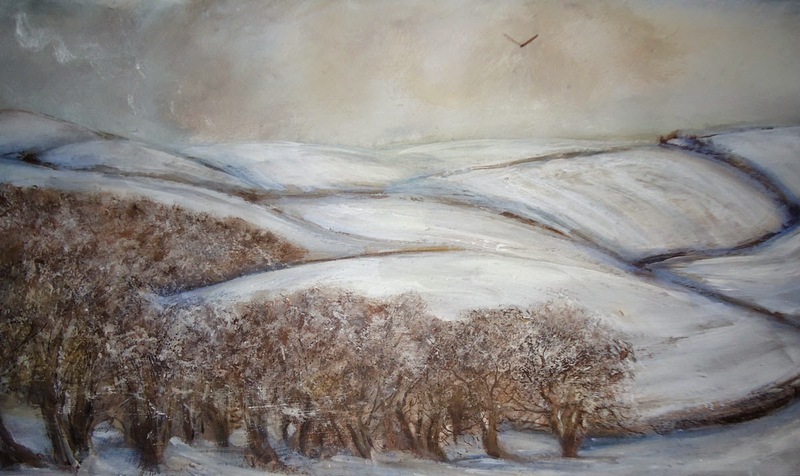 There's an upcoming Christmas Exhibition opening on 29th November, with work from Keith Andrew, Michelle Anderson, Thelma Ayre, Lin Brown, Nik Burns, Ian Kent, Caroline McLachlan, Will and Lottie O'Leary, Don Smith and David Stoves. Isaac Smart designer makers include: Jason Braham, Ted Bruce, Caitriona Cartwright, Josephine Harvey, Carol Howse, Ralph Jandrell, Corinna Kenyon-Wade, Sanders and Wallace, Margo Selby, Elspeth Soper, Melanie Tomlinson, Marian Watson, Nicki Williams and Sara Withers. 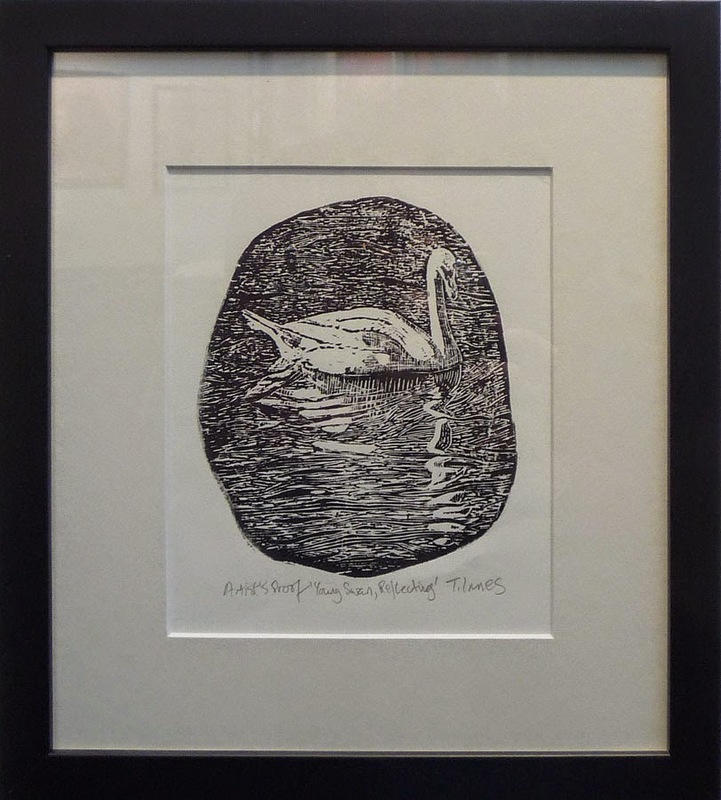 Don Smith will be artist in residence on 6th December, when he will demonstrate how he makes his drypoint prints. There's also a Top Hat Tour, the last of the year, to Birmingham on 4th December - just contact the gallery for details (all information on their website). 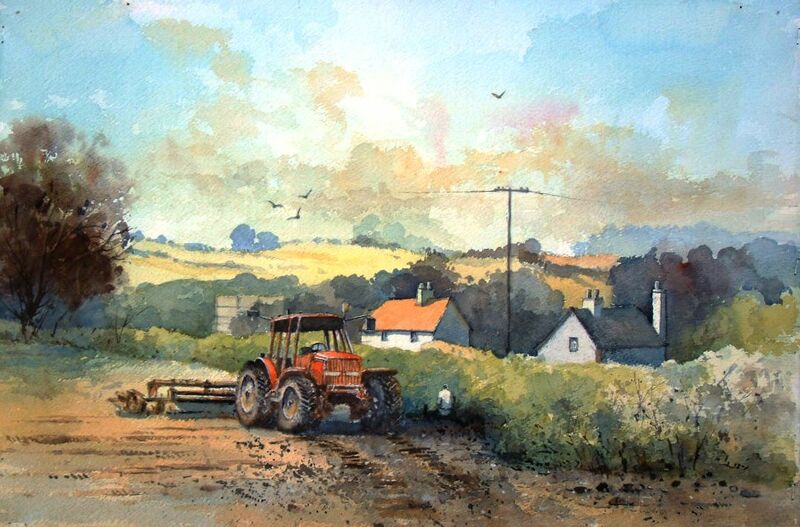 Do you recall George Loades' watercolour demo at the beginning of the month? Well, he's finished the painting and send a photo of it along for us to see. Cheers, George! The Ludlow Assembly Rooms will be streaming two programmes which may be of interest to LAS members. At 7pm on Tuesday 25th November there's a documentary portrait of David Hockney, followed by a live Q&A. Then, at 7.30pm on Thursday 4th December, there's what's called an 'exhibition on screen' featuring the life story and artwork (focusing on the later works) of Rembrandt. These are ticketed events, so book while you can! 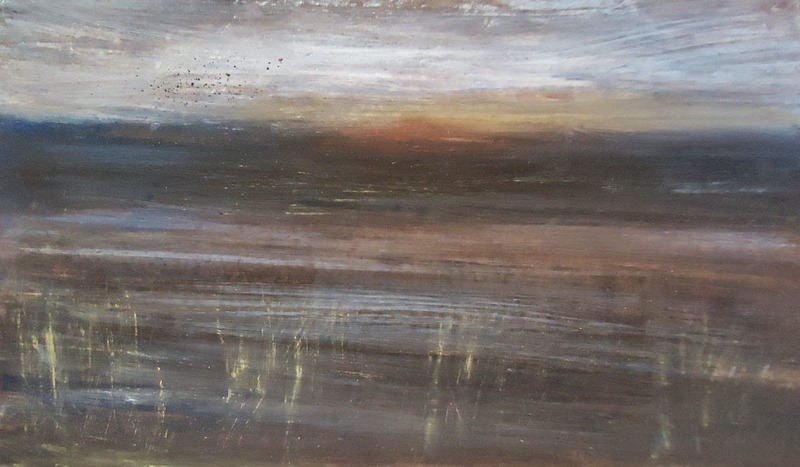 See Croft 'In another light' this winter as we work in partnership with meadow arts to bring you a contemporary art exhibition in the form of light. Artists David Ogle and Rebecca Farkas have created pieces which light up the stables, garden and park after dark. 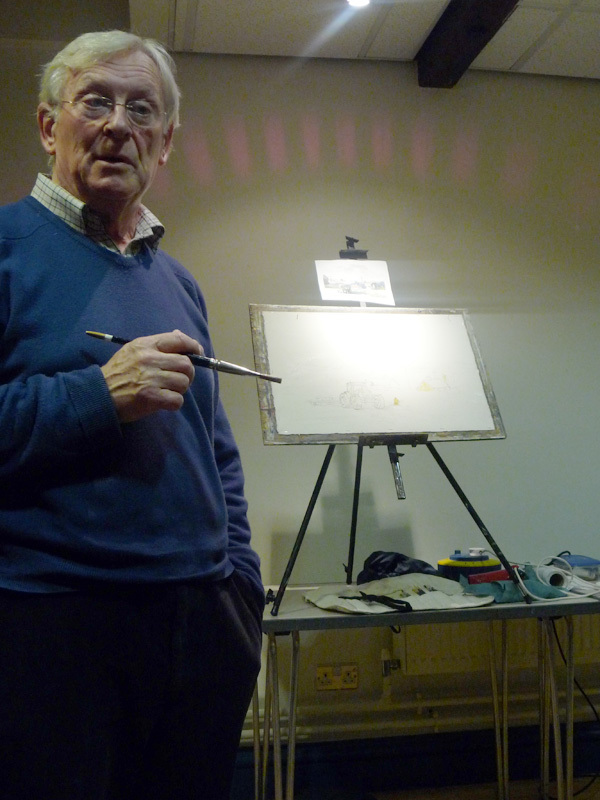 George set up with a drawing and preliminary sketch he'd prepared earlier, so he could dive right into the painting. We saw him turn this into a halfway-finished but stunning picture, and we also got to take a look at the fine work in his sketchbook. 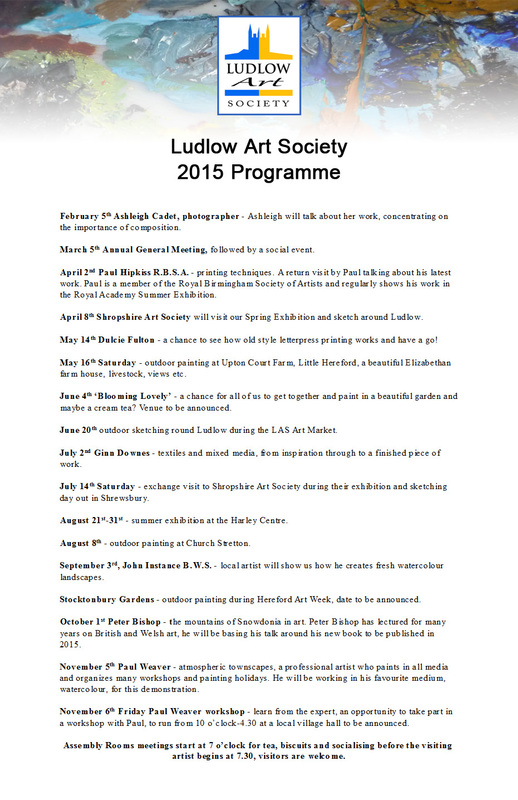 Well, that's it for the Ludlow Art Society's 2014... except not quite, as this blog will keep rolling on, bringing you the programme for 2015 before too long, and keeping you up to date with local artistic news! We hope you've enjoyed everything we did this year - our speakers, exhibitions, Fringe involvement, social gatherings, plein air days and little asides like the self portrait day, and we do hope to see you again next year, when we'll begin on the first Thursday in February. 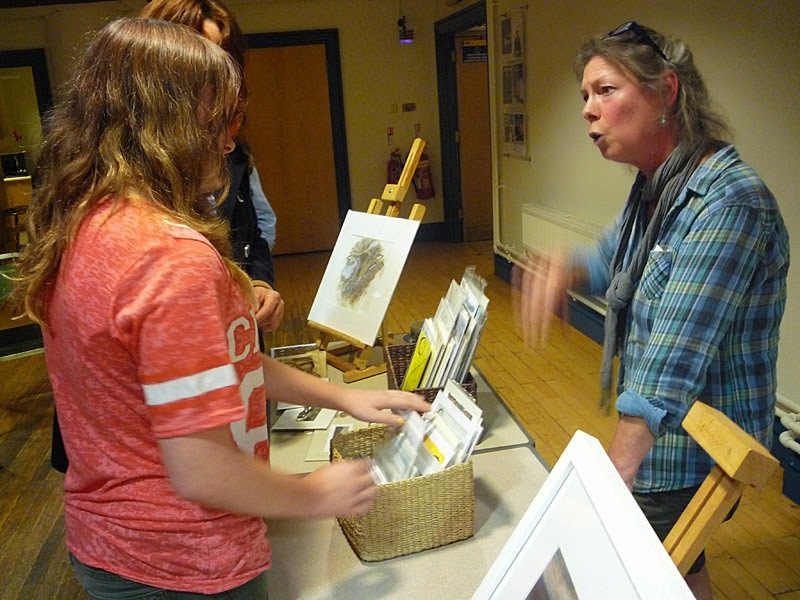 Shropshire Hills Art Week 2015 – ARTISTS WANTED! 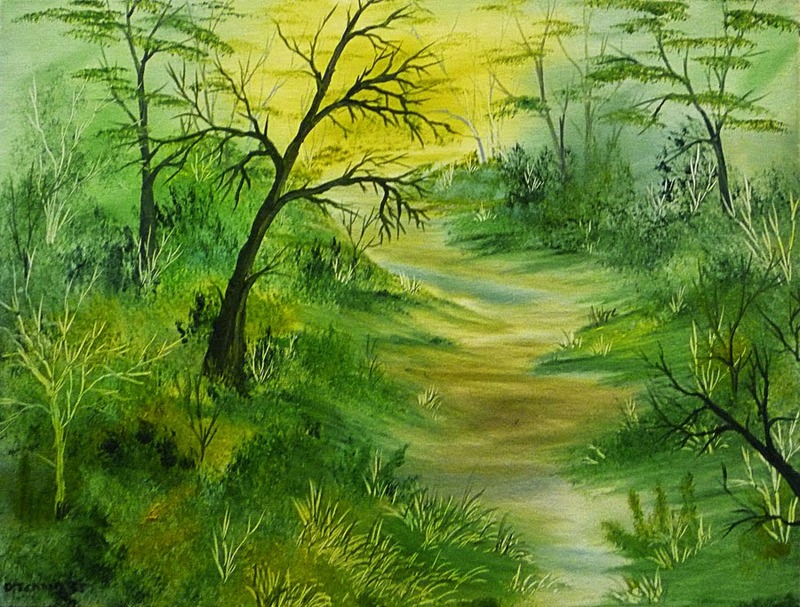 Do you paint wonderful landscapes, create beautiful jewellery, build stunning pots, carve magnificentstone sculptures, weave interesting wall hangings, blow fabulous glass, or make comfortable furniture? 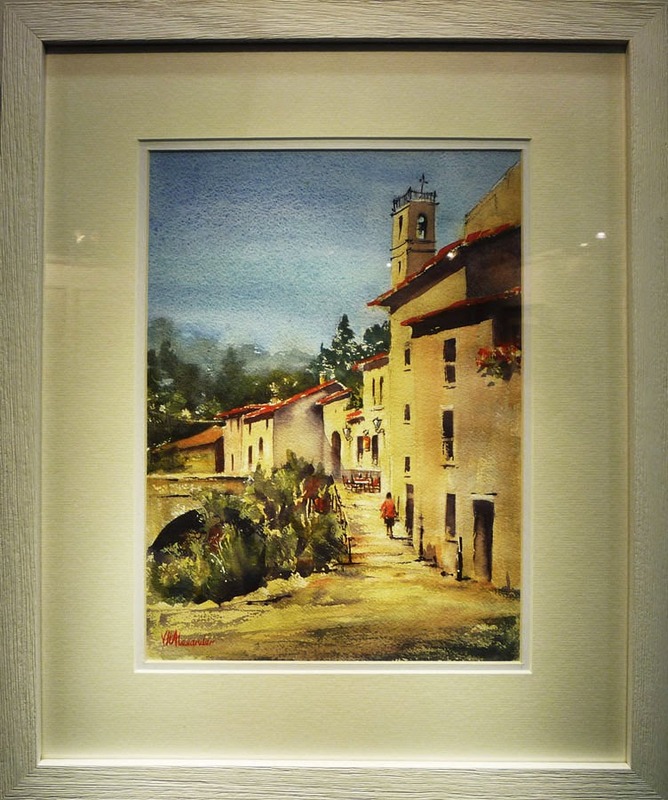 Are you an artist in or around the Shropshire Hills? Do you want to open your studio or join a group show? 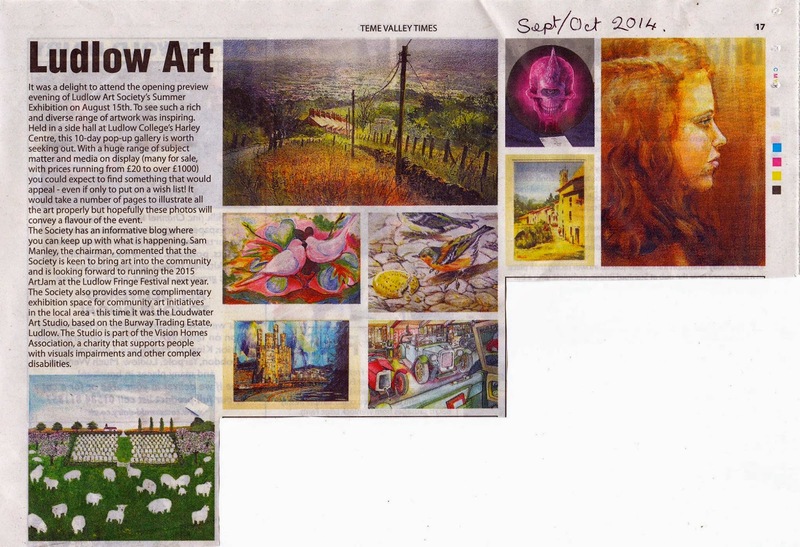 If so, Shropshire Hills Art Week wants you! 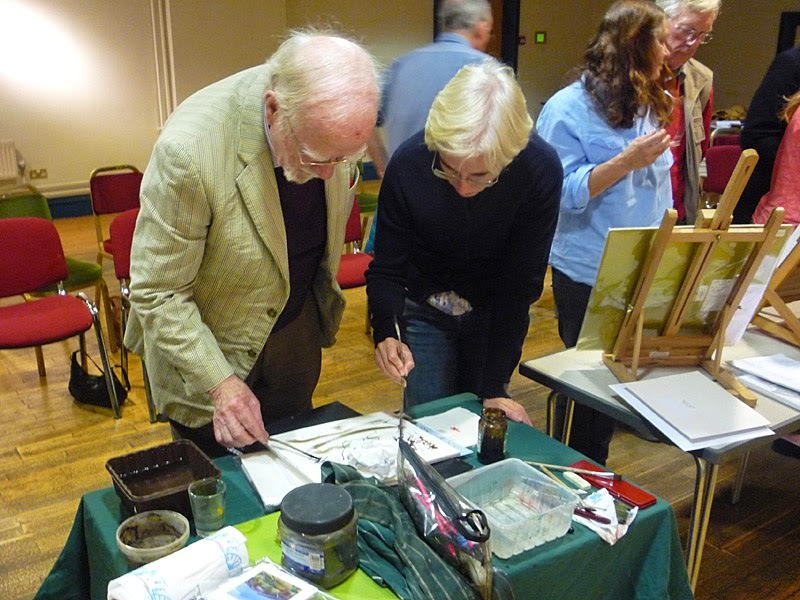 The Shropshire Hills Art Week (SHAW) is seeking artists to sign up, join in and get involved for the 2015 event! 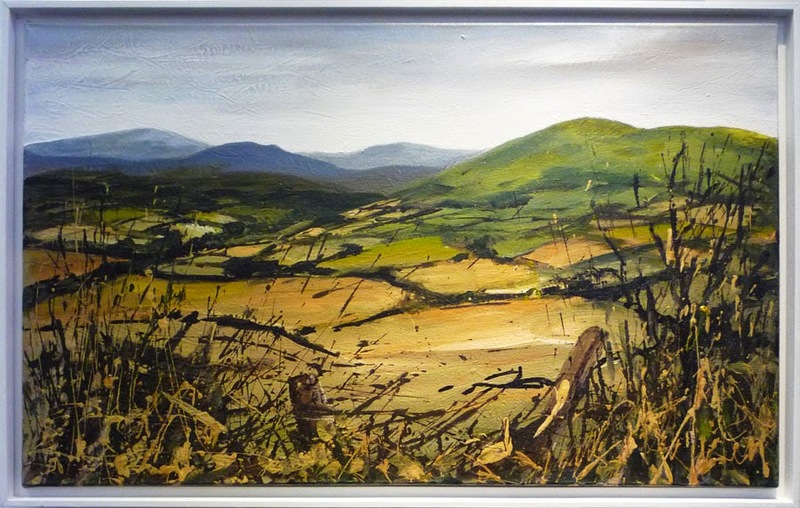 We encourage works inspired by landscape and wildlife, to showcase this stunning area.SHAW wants to help build a real community among artists in and around the Shropshire Hills. Take a look at our website, which contains artist profiles, an online gallery, helpful business tips for artists, and guidelines on getting the most out of art week. Find new markets for your work, benefit from our PR campaign, and help us to encourage people to visit the Shropshire Hills to look at art, walk, cycle, eat cake, swim in rivers, and share our lovely landscape. Sign up, join in and get involved now! 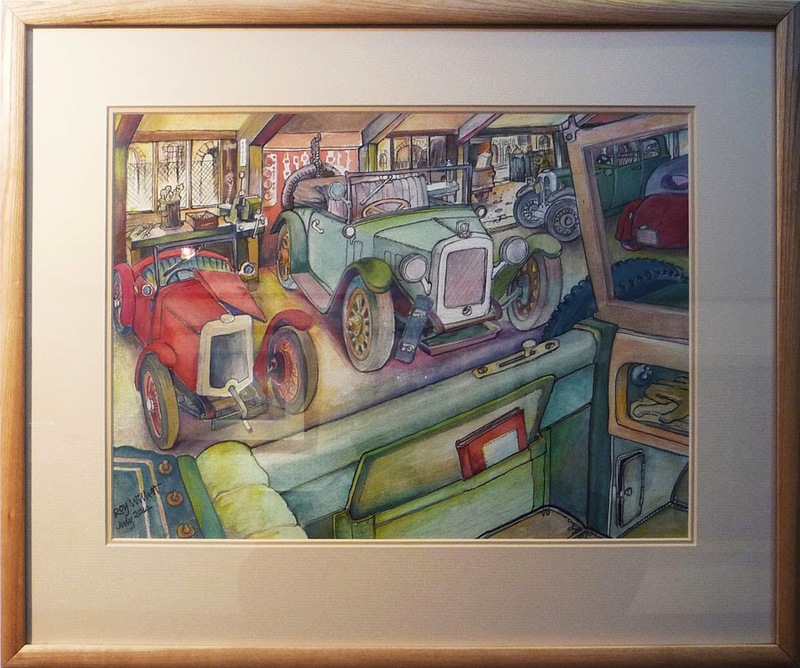 There will be a mix of watercolour paintings, photographs, linocuts, prints and cards for sale at reasonable prices. 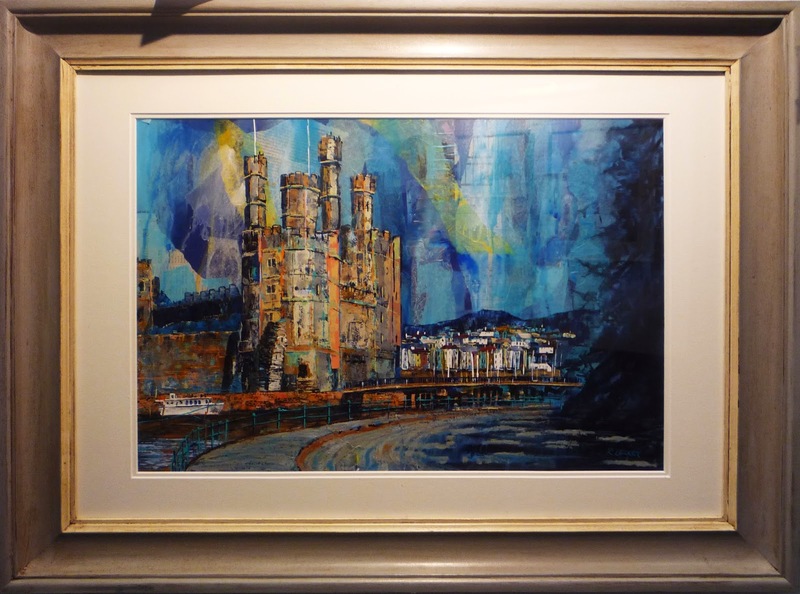 Artists include Drusilla Cole, Gordon Yapp, Tim Phillips, Rosie Read, Anne MacDonald, Sue Percy, David Bunyan, Nigel Kerry, Pauline Kitely, Andrew Fusek Peters and many others. Entry is free with plenty of parking. Disabled Access. 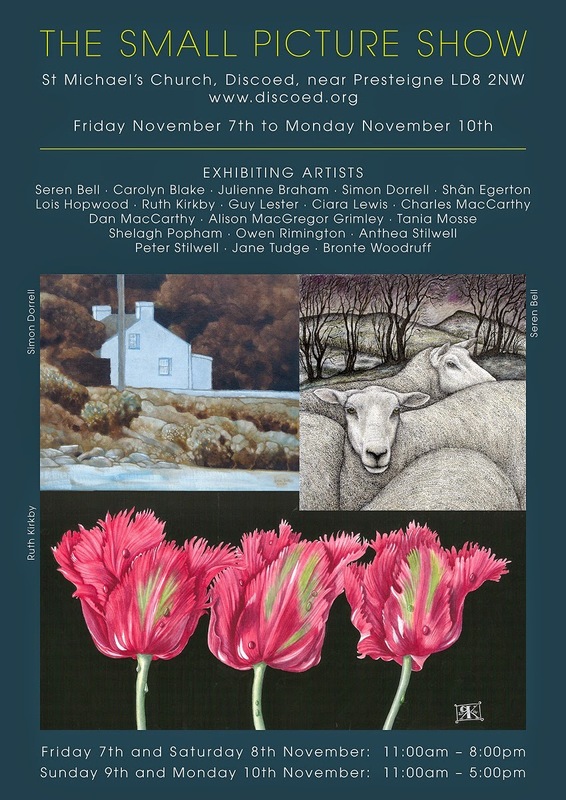 See www.castleartists.co.uk for more info. 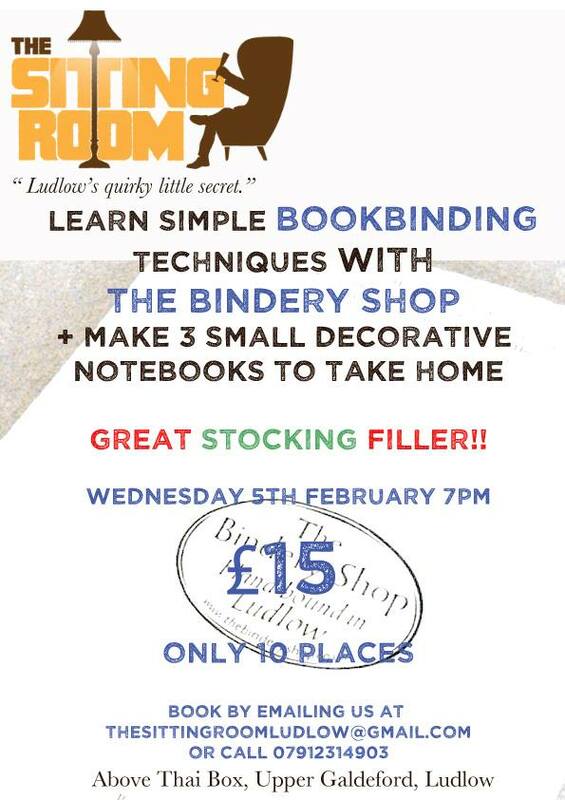 See you on the 6th for our last evening meeting of the year - a talk and demo with George Loades! 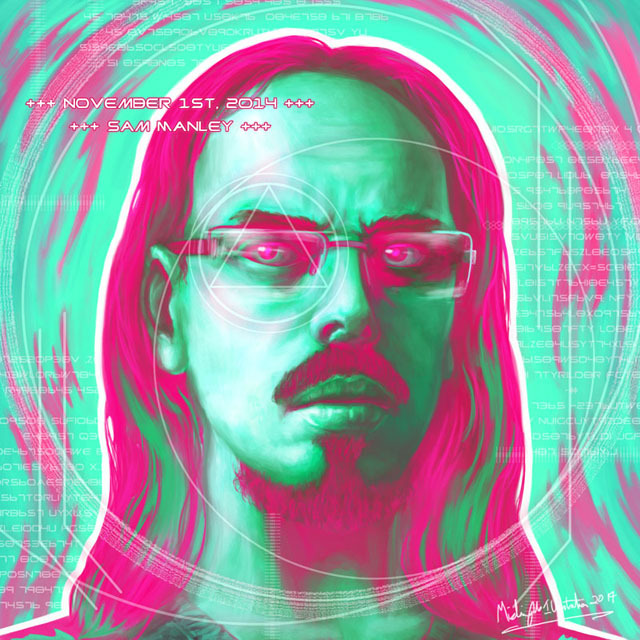 Here's how it works: on November 1st, you create a self-portrait using any medium you like. That's it, it's that simple! Doing this year on year is a fun way to chart your artistic growth, and I thought it'd be interesting to see what Ludlow Art Society members come up with this year. If you take part, it'd be fantastic if you emailed a picture of your work to me at samsketches@yahoo.co.uk, and then I'll gather them all together for a mini-gallery blog post right here. I ran across InkTober very recently - it's a month-long ink-based art challenge, with the idea being just sharpen your skills and have some fun. 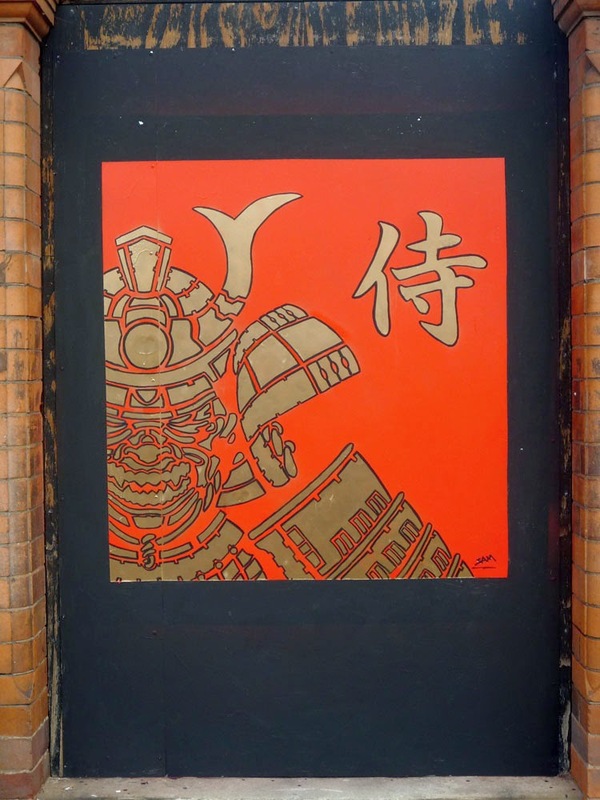 The project was started by artist Jake Parker, who's been doing this each October since 2009. This month, Spotlight's looking at artwork created during wartimes. 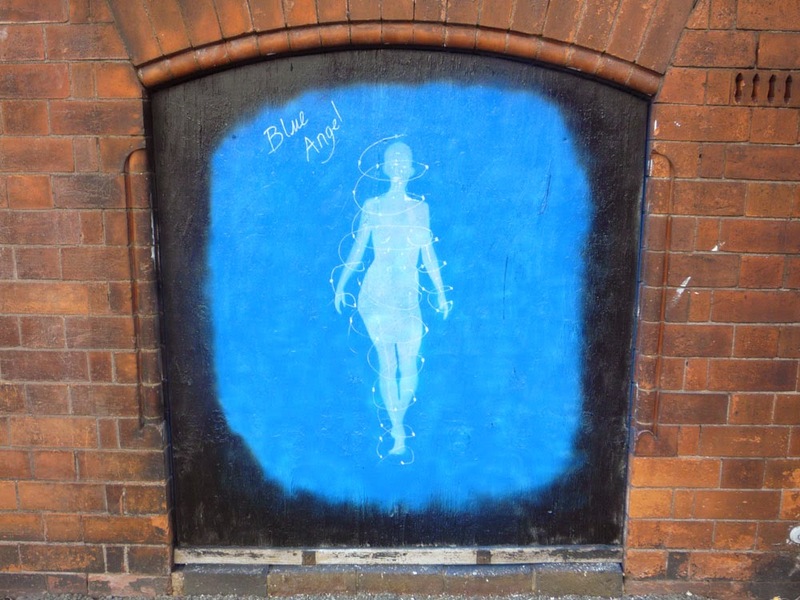 This work can be assessed in several ways - the political message at the time, how elements of design have been exaggerated to convey or stress a certain meaning, or how compositions and colours have been chosen to create a poster with immediate visual impact. It can also be interesting to look back and see how styles have changed over the years. As usual we'll be at the Assembly Rooms, 7pm for 7.30pm and it's £4 for guests, £3 for LAS members. Tea, coffee and biscuits will be provided! The Campaign for Drawing's annual event, The Big Draw, is taking place between 1st October and 2nd November and runs across the UK and twenty other countries. 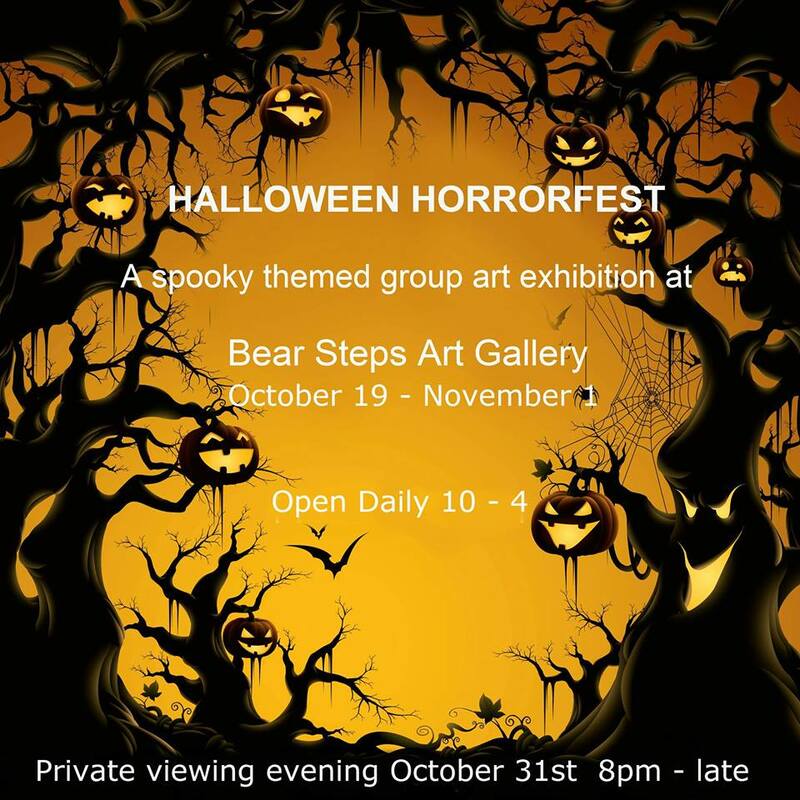 Some of the events are for kids, but there are others aimed at adult artists, too! Locally, there are a couple of events happening. 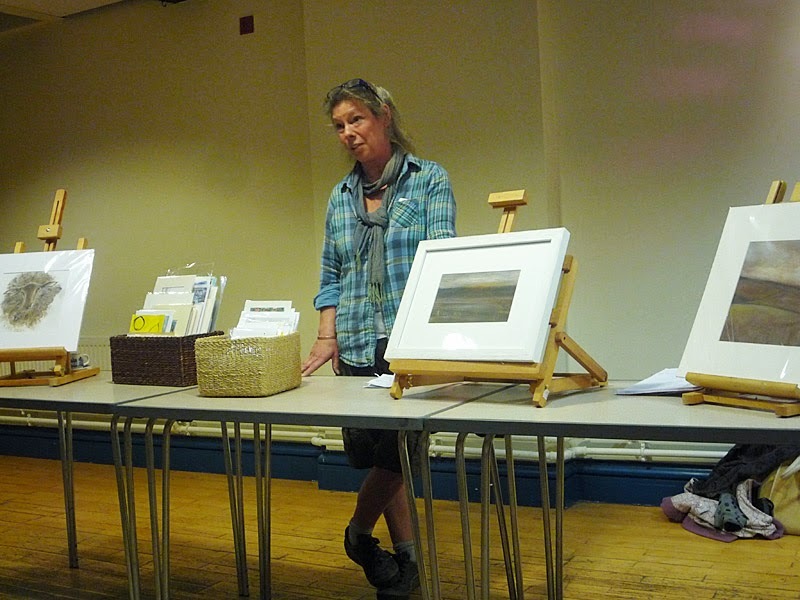 On 5th October there's From Micro and Macro at Carding Mill Valley - all the details are HERE. On 11th October there's... something (details are sketchy, pun intended) at Apley Farm Shopnear Bridgnorth, in association with he Campaign for Rural England - details HERE. 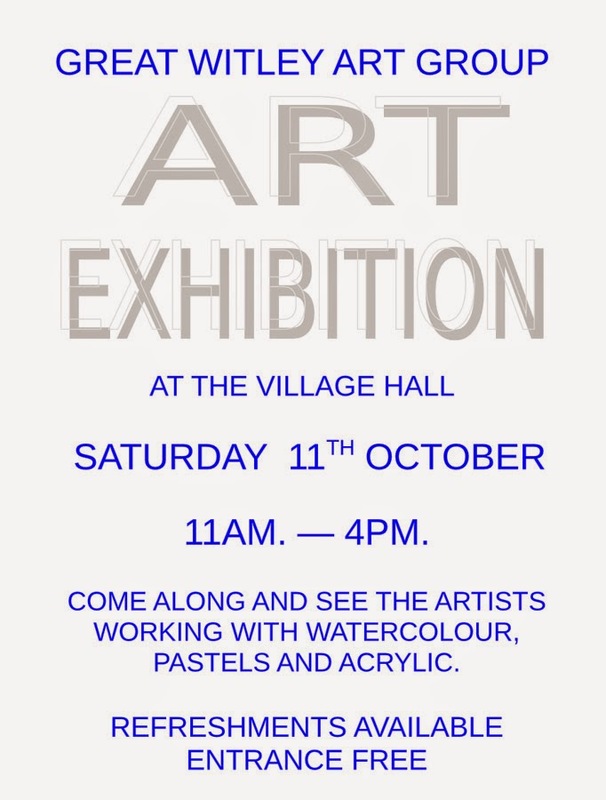 Near Cradley there'll be an exhibition of postcard-sized art (but send yours in before 1st October!) at the Blue-Ginger Gallery - details HERE. 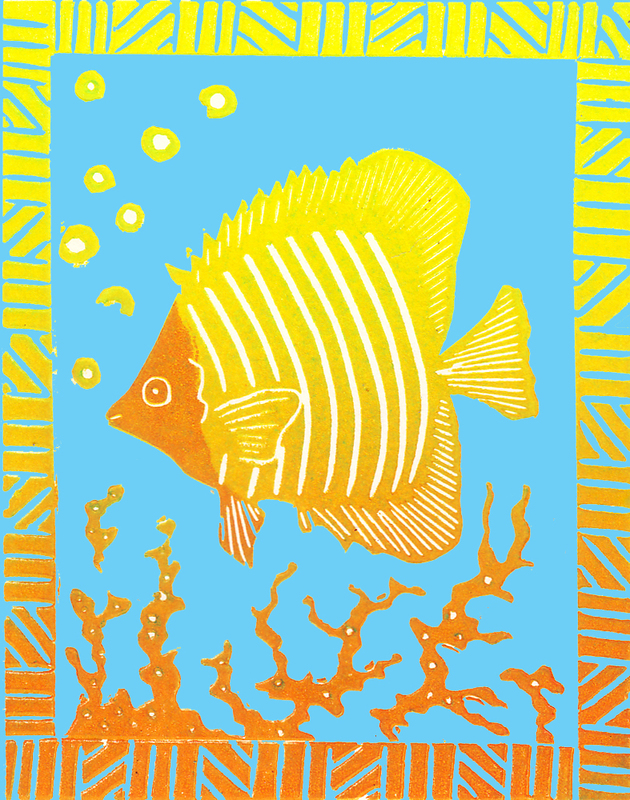 On 18th & 31st October there's tile-making at the Museum of Royal Worcester - details HERE. 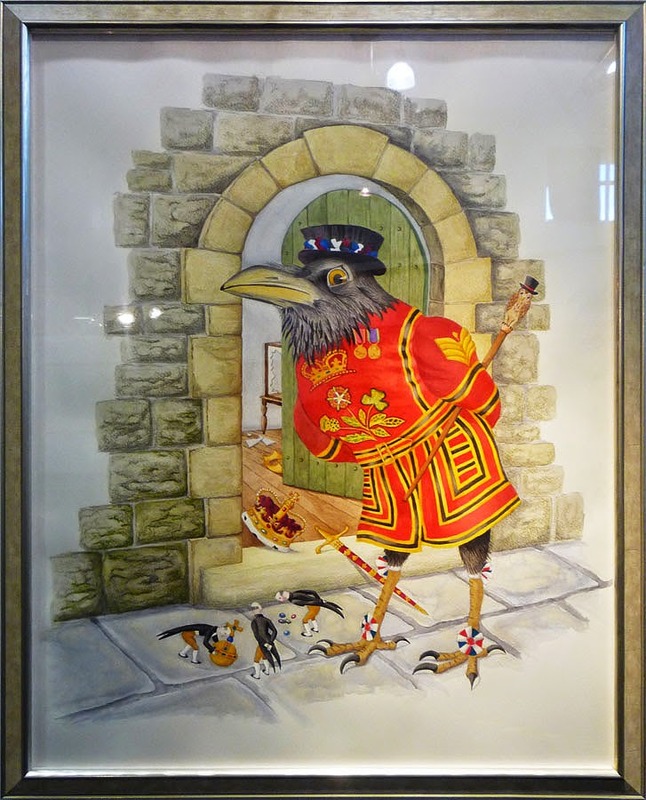 From 18th October to 1st November there's a huge mosaic-making event, again at the Museum of Royal Worcester - details HERE. 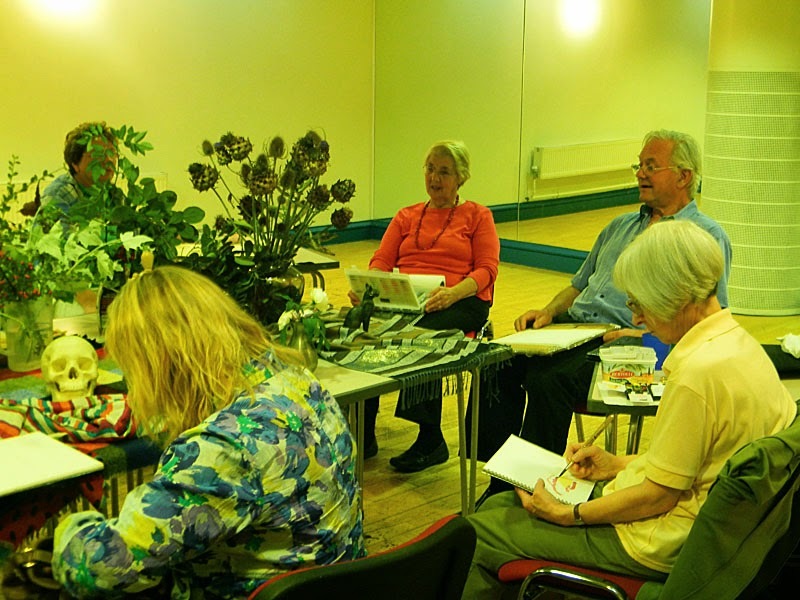 On 25th October, you can draw from nature at St. Peter's Church, Cradley - details HERE. 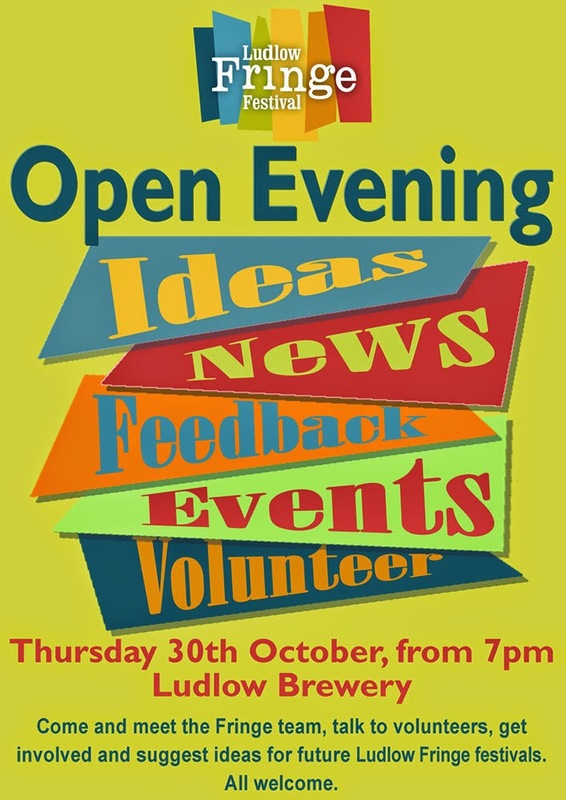 On 27th & 30th October, at Malvern Theatres, there's an opportunity to get involved with some drawing - details HERE. 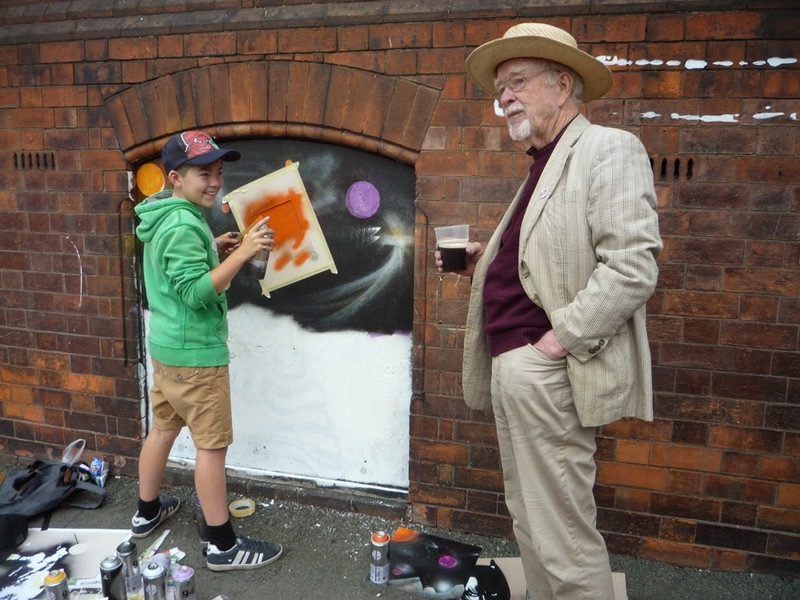 From 27th - 31st October, there's a large-scale mixed-media piece being created at Blists Hill Victorian Town - details HERE. On 28th & 29th October you can create cathedral-inspired artwork at Worcester Cathedral - details HERE. On 28th - 30th October, at Newhampton Arts Centre in Wolverhampton, drop in a draw your own lunch! Details HERE. On 29th October, again at Newhampton Arts Centre, draw your own island in the sun - details HERE. Then, on 29th October, Hereford Museum and Gallery hosts The Big Draw Herefordshire in the Great War - all the details are HERE. Again on 29th October there's a drawing session focusing on industry, at Batnock House Museum, Wolverhampton - details HERE. 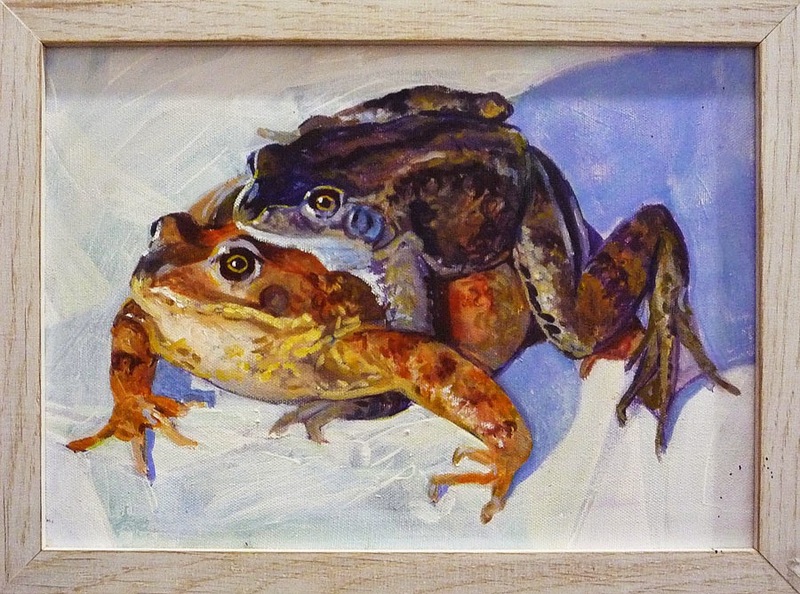 Once more, on 29th October, there are frog-based (?) 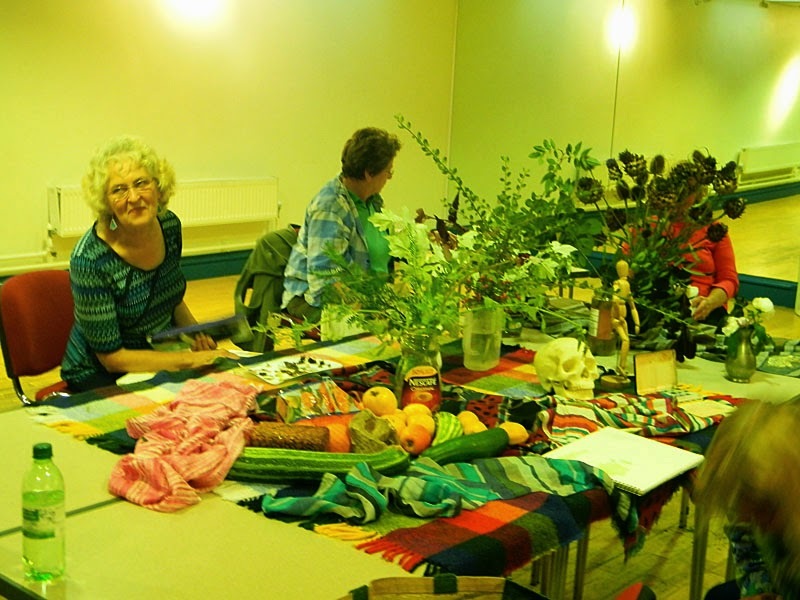 arts and craft activities at Southwater, in Telford. Details HERE. 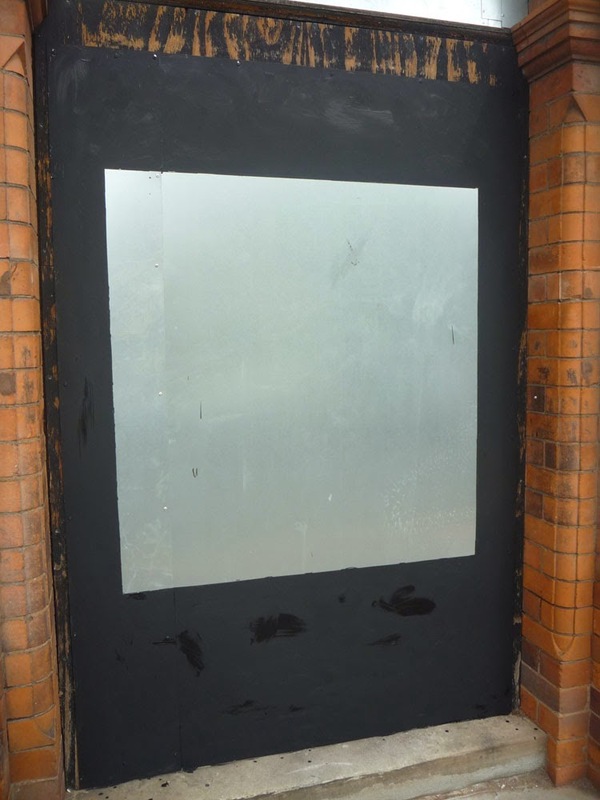 On 30th October, be a part of your own projected drawing at Wolverhampton Art Gallery - details HERE. On 1st November a collage is being made at Worcester's Tudor House Heritage Centre - details HERE. If you do get involved, why not send over a photo or scan of what you did, and let us know what you thought of the events? 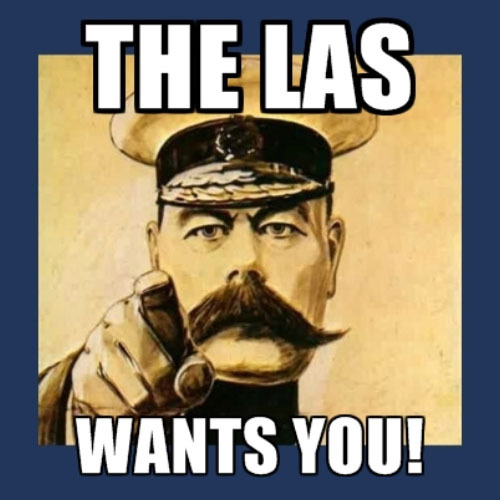 This year's LAS Annual Dinner with be on 12th October and will be held at the Chang Thai Restaurant - if we have your email address then you should have all the information, and if we don't then there'll be a letter for you arriving very shortly. 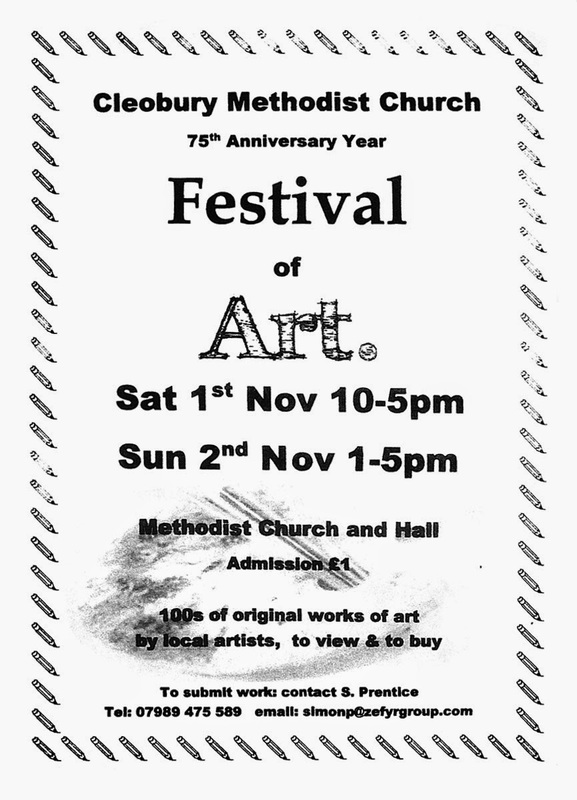 I've just had an email through from David Dawkins, who ran the Big Art Show this year. He's running it again in 2015, and has asked that I pass on some details to LAS members. 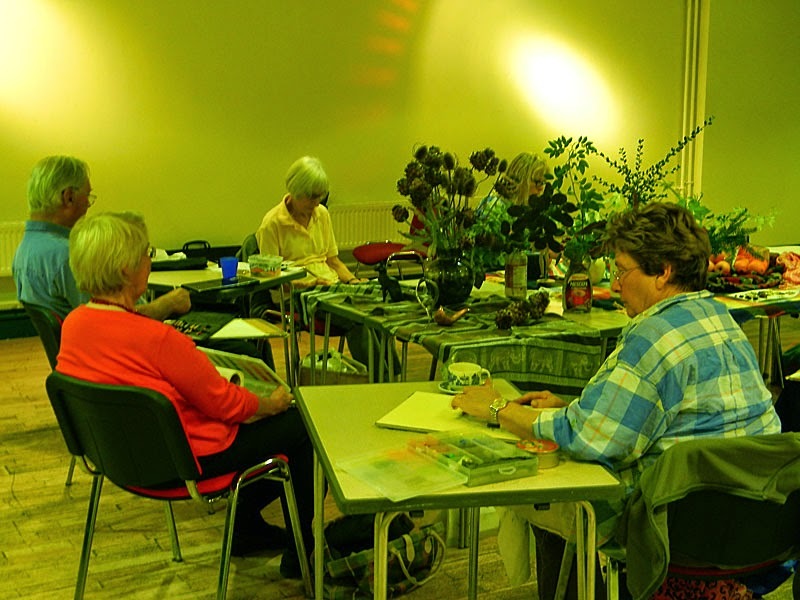 Westhope Craft College's beginner's art course, Drawing Isn't Difficult, is nearly booked up, but there are a few places left! I couldn't get to the Work Night (work and illness...), but the pictures kindly taken by Tom Crowe make me wish I'd been able to go sketching there! 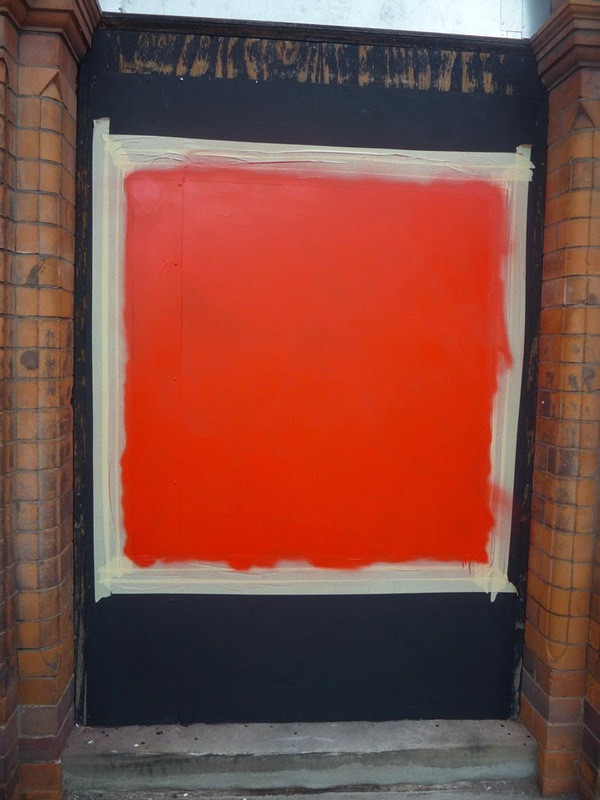 Don't forget, as per the blog entry below we're heading out to the studio of painter Craig Sumner on the 10th of this month. Also, we can now confirm that Bronte Woodruff will be our speaker for October - more details to follow! 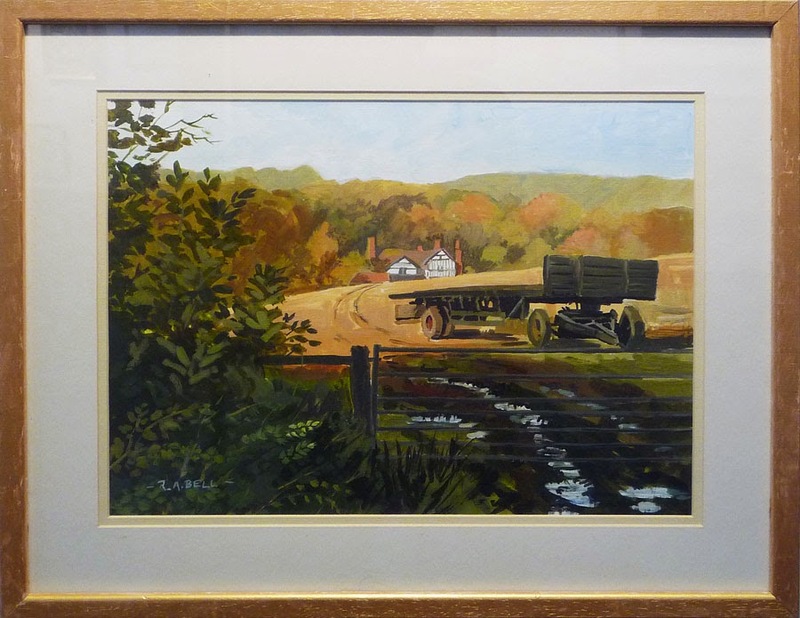 On Wednesday 10th September we're heading out on a visit to the studio of Craig Sumner, whose Leominster studio is open as part of h.Art, and then we're following this up with a plein air painting/drawing session around Leominster Grange and Minster. We're to meet at the Talbot Hotel in the car park at 10 a.m. since the studio is there. This Thursday's Members' Work Night is only going to cost £2 per person, rather than the usual £3 for LAS Members and £4 for guests (which was listed on the poster, but this new lower charge supersedes that), as we don't have to cover the costs of a speaker. This Work Night is something of an experiment - we'd love to see you there, and if it proves popular we'll look at running similar events in 2015. 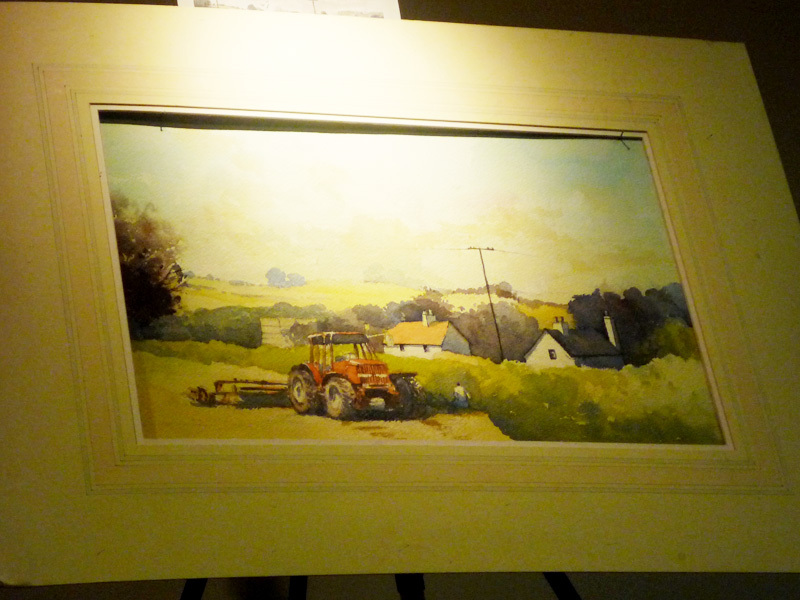 It's basically plein-air work with (mostly) very minimal kit, and there are lots of different approaches on show. 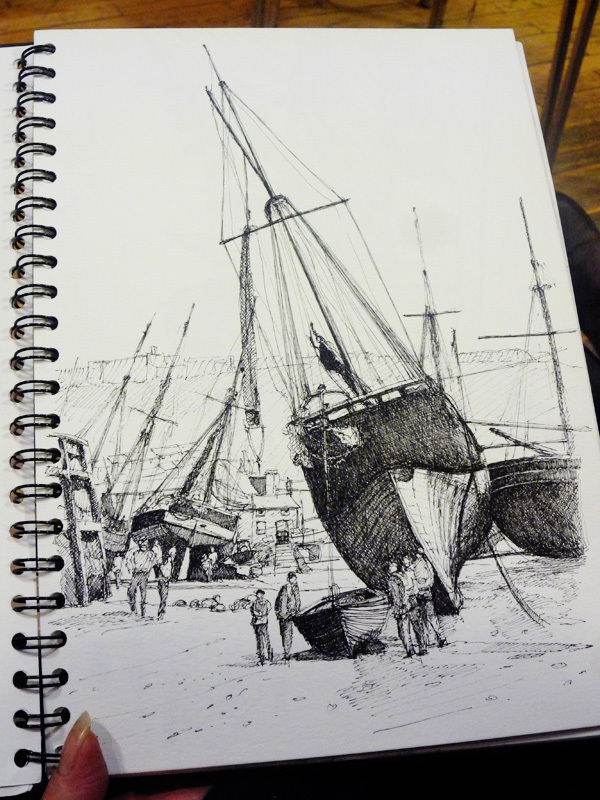 I don't know about you, but reading through their website makes me want to head out with a sketchbook! 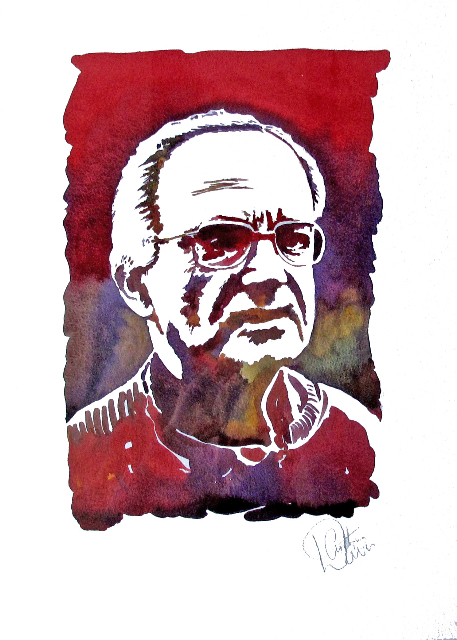 If you know any great art websites or articles, why not share them here? I'm also going to ask, this time around, if there's something specific you'd like to see from Spotlight. 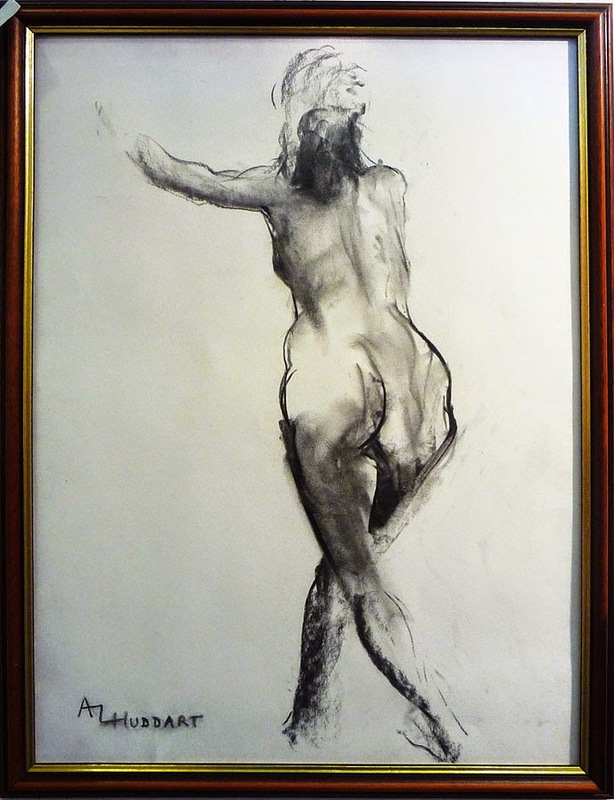 Do you want to see galleries of work you may not be familiar with? Is it technique-based articles you like the most? Opinion pieces? Art history? Let me know! Send your suggestions to samsketches@yahoo.co.uk - please note that this isn't for self-promotion. 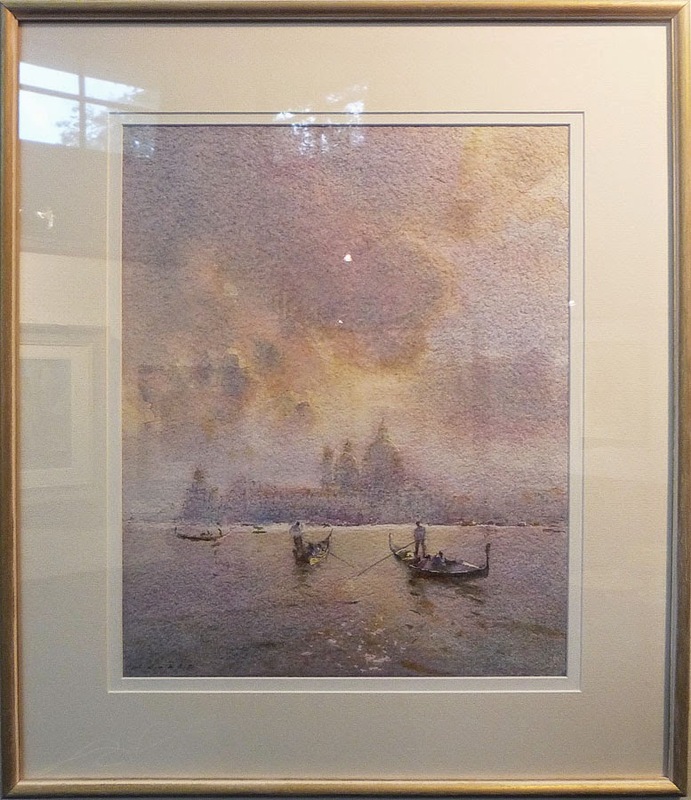 The Summer Exhibition may be over, but there's still more to announce - Castle Bookshop, Silk Top Hat, the Ludlow Brewery and the Chang Thai all made their selections for best piece in show, and the public also cast their votes! Well done to the winners, and thank you to everyone who voted! 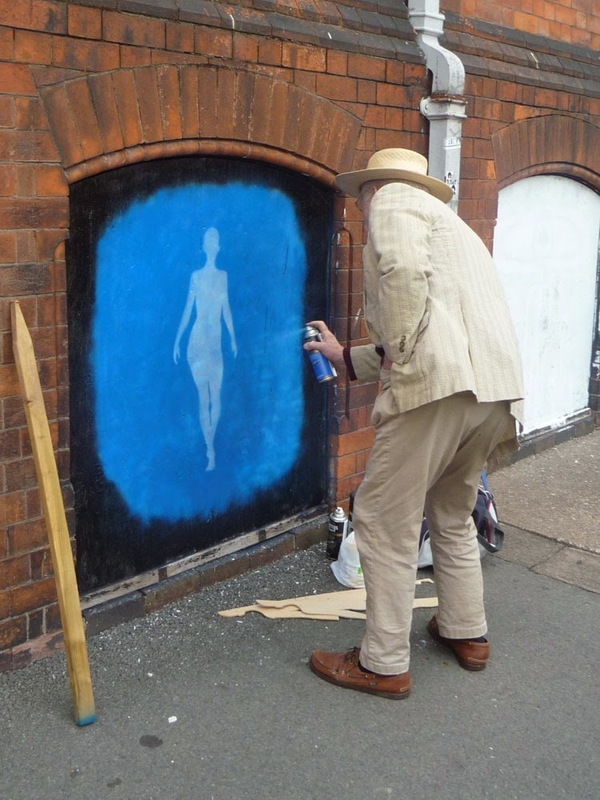 Originally, three LAS members were due to paint at Above Boards, a two-day music and street art event that's part of the Kidderminster Arts Festival and took place this weekend. Unfortunately, Lesley Connolly was just too busy, but Tom Crowe and I were there, spray cans in hand! The 4x4ft wooden board I'd expected? No. A 5x8ft metal door. Improv time! Preparing the background for my piece. My final piece. The gold is metallic. 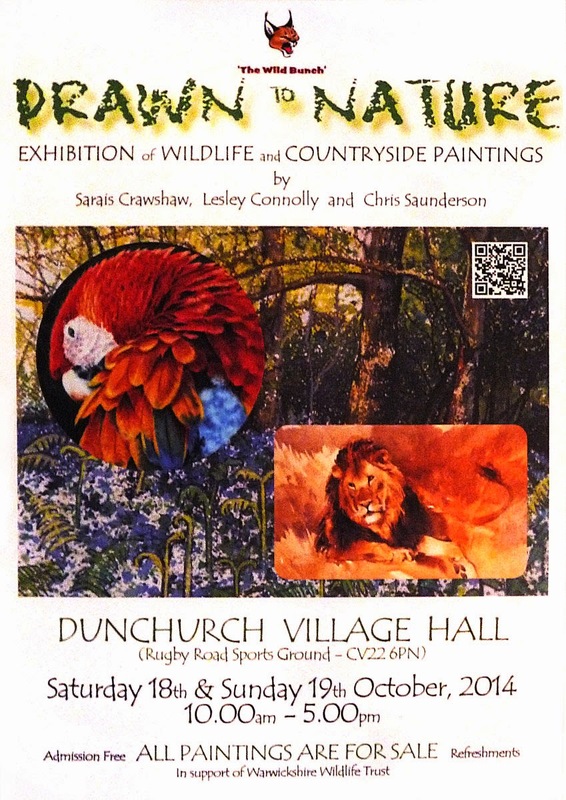 Our second show of the year is now open! The private view was held on the evening of the 15th, where we were treated to live music from Jack Brett, and an excellent selection of drinks and nibbles provided by Susanna Checketts and Lesley Connolly. 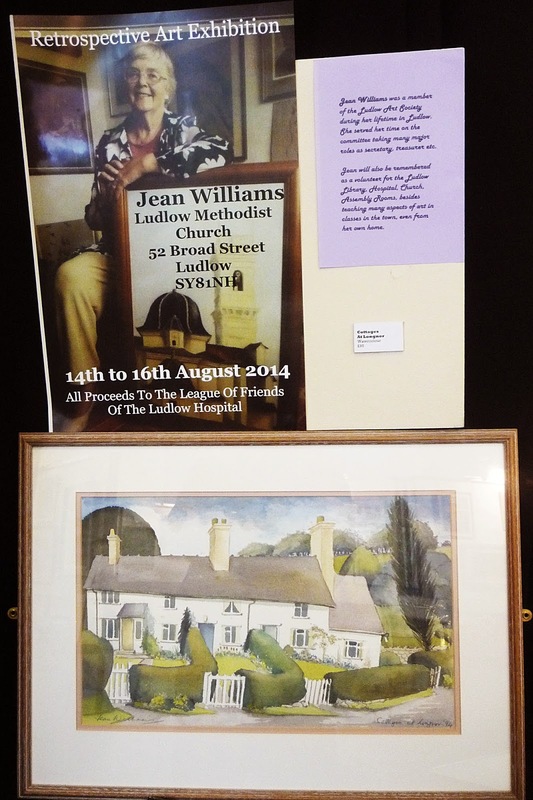 We were pleased to have a table of work from Loudwater Studios, which is sponsored by the VisionHomes charity, we displayed a painting from the late Jean Williams, former chair of the LAS (with details about a retrospective exhibition of hers on 15th and 16th August at the Ludlow Methodist Church in Broad Street), and in addition to all the paintings we also had a wonderful craft table, with sculpture, glasswork, tiles and a painted LP. 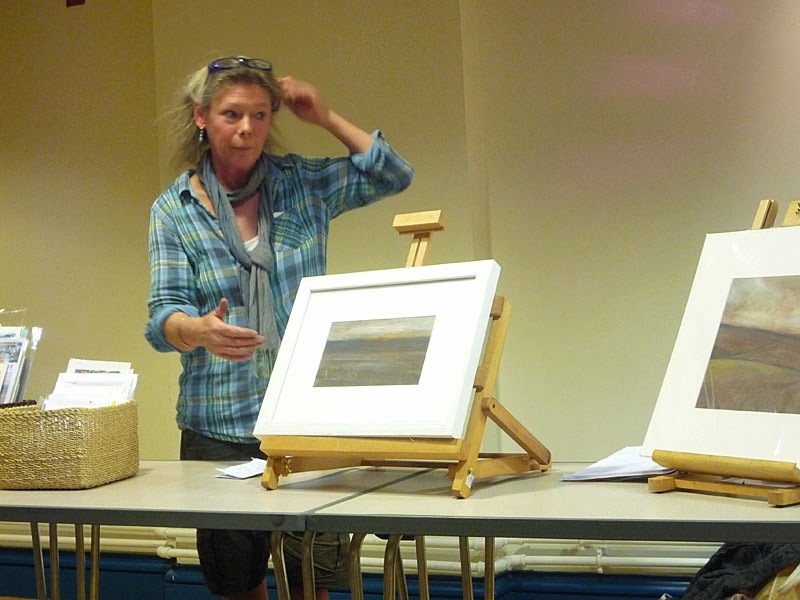 Ludlow Open curator Jo King formally opened the show, and one of the prizes, the Silk Top Hat choice, was awarded to George Loades for his painting Above Dhustone. The other prizes (for the Ludlow Brewery choice, the Chang Thai choice, and the Castle Bookshop choice) will be awarded soon, and shortly after that will be mentioned here! This is, as always, just a tiny selection of the works on display. Why not drop by, take a look? 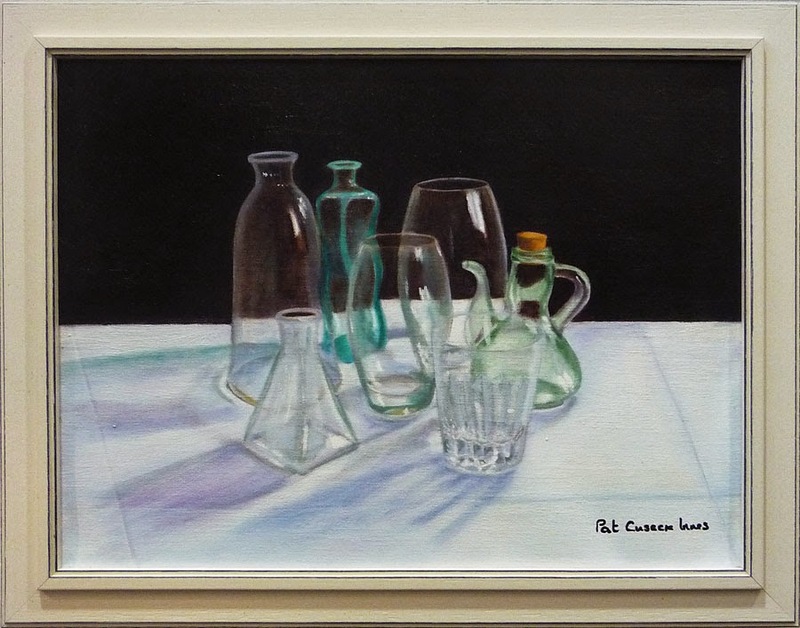 You can vote for the picture you think is 'best in show'! That's it for exhibitions for this year, but we'll be back in 2015! 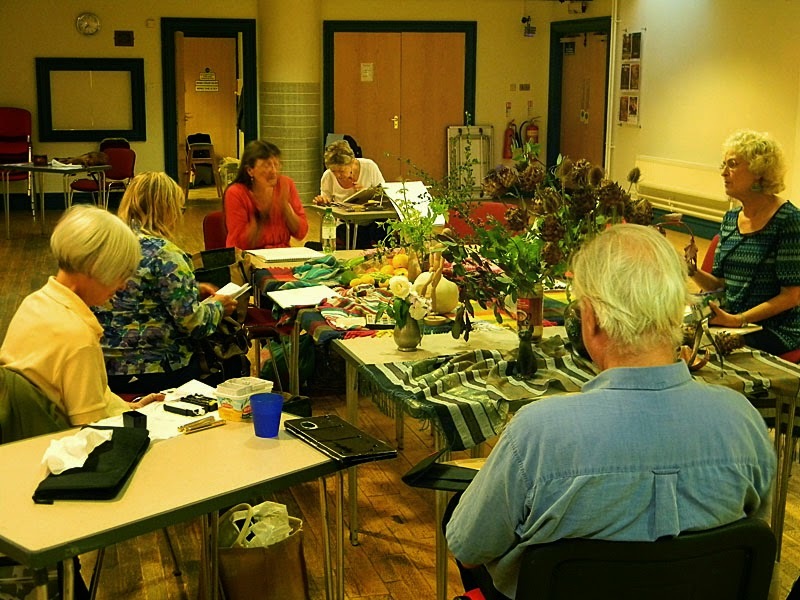 In the meantime, you're welcome to join us for our upcoming evening meeting on 4th September, when we'll have still life displays set up for you to come along and draw or paint - see you there!